UK born rapper 21 Savage, who faces possible deportation from the United States, was largely unmentioned at the Grammys on Sunday, although his supporters on social media criticized stars for their silence. 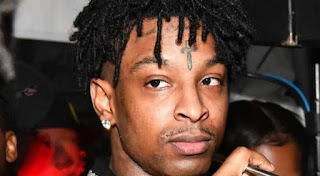 21 Savage was arrested by US Immigration and Customs Enforcement (ICE) agents a week ago in Atlanta, where he grew up, and remains in detention. Swedish composer Ludwig Goransson included the rapper among those he acknowledged. He said in an acceptance speech for his contribution to Childish Gambino's Grammy-winning record 'This Is America' that 21 Savage "should be here tonight." Post Malone was photographed backstage with a T-shirt that had 21 Savage's name on it, which he wore under an embroidered jacket before taking the stage to play guitar and sing with rock group Red Hot Chili Peppers. "Big missed opportunity for @PostMalone to advocate for @21savage's release from #ICE during his performance of 'Rockstar,' which features 21," the civil rights group Color of Change wrote on Twitter. Twitter user Venus Sisi Eko wrote: "The only person to shout out 21 Savage all night was a white boy from Sweden. No. One. Else. Not even Post Malone, with whom he shares a Grammy-nominated song. SHAMEFUL." 21 Savage's attorneys have disputed the grounds for his arrest and detention, which has caused an uproar in the U.S. hip-hop community.